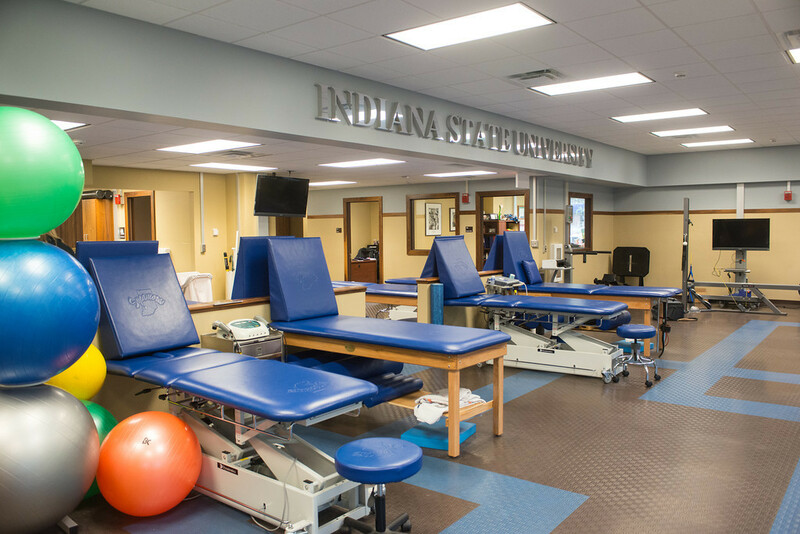 Indiana State University’s Professional Athletic Training program provides classroom and clinical experiences that prepare students for Athletic Training professional practice. The program emphasizes the synthesis of knowledge and clinical skills to enable students to provide evidence-based patient-centered care. The Professional Athletic Training program is dedicated to preparing students for professional practice in Athletic Training through scholarly research, academic and clinical experiences, and community engagement. The Professional Athletic Training program supports excellence and develops productive citizens who function as skilled healthcare professionals. Coursework in the program emphasizes the synthesis of foundational knowledge and skill within each of the areas in Athletic Training as well as critical thinking and problem-solving skills associated with professional competence. The mission of the Professional Athletic Training Program at Indiana State University is to develop patient-centered Athletic Training practitioners with an emphasis in evidence-based, integrative care. Athletic Training students gain professional experiences through the synthesis of didactic and clinical education, interprofessional education, community engagement, and scholarship. Applicants will complete an application through the Athletic Training Centralized Application System (ATCAS). Applicants will submit official transcripts verifying completing of pre-requisites coursework, GRE scores, and signed technical standards waiver through the ATCAS portal. Professional references will be submitted through the ATCAS portal, applicants will need to submit contact information (name, email address, phone number) of at least 3 professional references. Applicants of the Professional Athletic Training Program will complete the application for admission into the College of Graduate and Professional Studies prior to beginning coursework. After review of application materials, students will complete an [electronic] interview with Department of Applied Medicine and Rehabilitation Academic and Clinical Faculty. The Professional Master’s in Athletic Training began Summer, 2016. The BOC Exam results for the professional master’s students will be available beginning in Spring, 2018. The Neuromechanics, Interventions, and Continuing Education Research (NICER) Lab is a part of the Applied Medicine and Research Center.​ ​​​​The NICER Lab facilitates collaborative undergraduate, graduate, and faculty research in Athletic Training and Sports Medicine.